Johann Sebastian Bach was a German composer and organist. 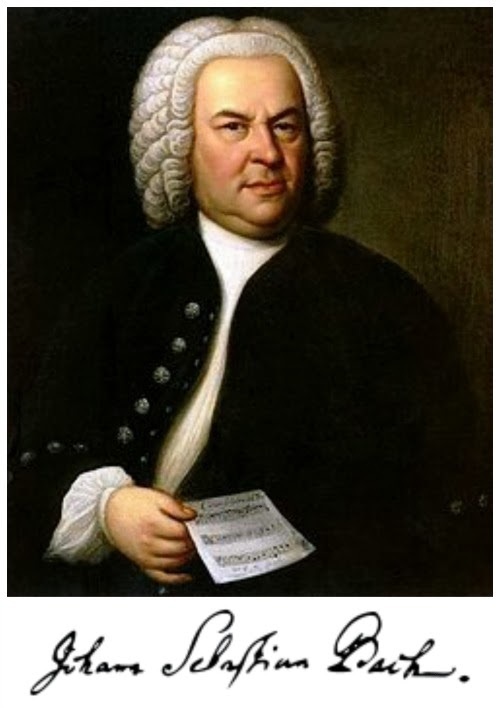 The most important member of the Bach family, his genius combined outstanding performing musicianship with supreme creative powers in which forceful and original inventiveness, technical mastery and intellectual control are perfectly balanced. While it was in the former capacity, as a keyboard virtuoso, that in his lifetime he acquired an almost legendary fame, it is the latter virtues and accomplishments, as a composer, that by the end of the 18th century earned him a unique historical position. His musical language was distinctive and extraordinarily varied, drawing together and surmounting the techniques, the styles and the general achievements of his own and earlier generations and leading on to new perspectives which later ages have received and understood in a great variety of ways. The first authentic posthumous account of his life, with a summary catalogue of his works, was put together by his son Carl Philipp Emanuel Bach and his pupil Johann Friedrich Agricola soon after his death and certainly before March 1751 (published as Nekrolog, 1754). J.N. Forkel planned a detailed Bach biography in the early 1770s and carefully collected first-hand information on Bach, chiefly from his two eldest sons; the book appeared in 1802, by when the Bach revival had begun and various projected collected editions of Bach’s works were under way; it continues to serve, together with the 1754 obituary and the other 18th-century documents, as the foundation of Bach biography.